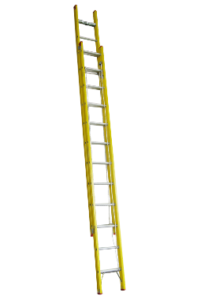 Featuring sturdy, Electro – Safe™ construction, this extension ladder offers resistance to twist and sway when working at heights. 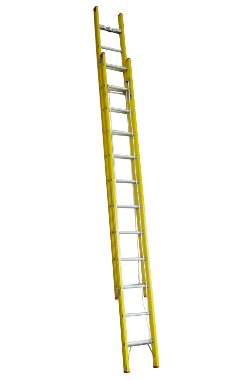 Durable lightweight design uses robust fibreglass side rails and structural grade aluminium rungs, to provide greater strength. 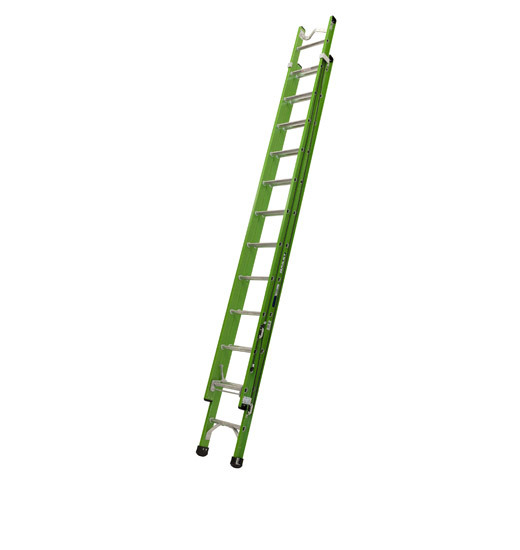 Fully automatic latching system ensures that upper section will not descent out of control. The rungs utilize a 3-piece rung joint system for attachment to the side rails such that they can be manufactured from high tensile and hardened aluminium for greater strength and durability. 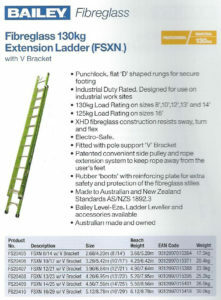 V-bracket with rubber pad for use of ladder against a pole. 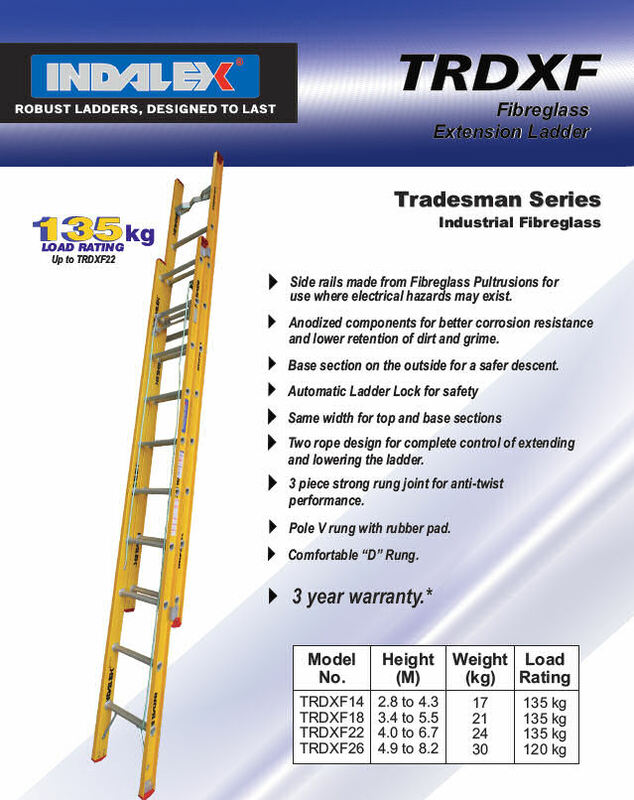 10 year warranty for all structural aluminium components.